Pneumatic height adjustment of 17.5" - 24", 20" - 26" or 22" - 31"
Please see attached color options sheet, and specify the color you would like in the "Special Note" section during checkout. 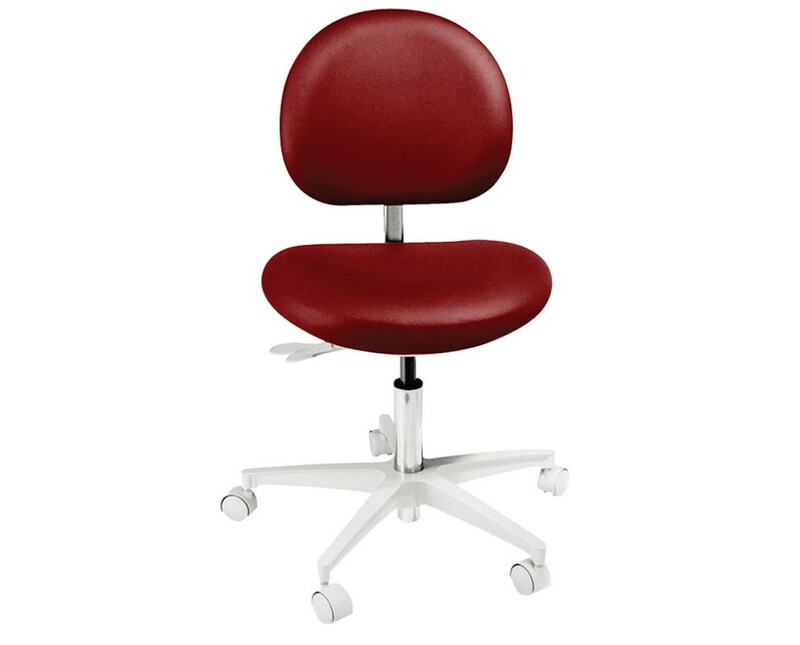 Brewer's 3100 Series Dental Stool brings ergonomic craftwork to modern design for affordable, durable seating fit for any medical office. With eight configurations available, you're bound to find one that's right for you. 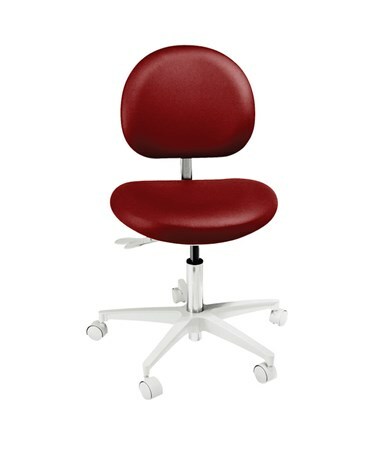 Pneumatic height adjustment of either 17.5" - 24", 20" - 26" or 22" - 31" makes it easy to find the most comfortable seating position. A 24" powder-coated cast aluminum base equipped with polyurethane tread casters provides stability and smooth, reliable movement. The stool has a weight capacity of 250 lbs. All Brewer products conform to US and Canadian electrical and medical industry codes and regulations, and come with a 5-year warranty. On top of the three different height ranges available, the 3100 Series features several other options. The dual adjustable lumbar backrest with aseptic shroud and tilt functionality provides superior comfort and support for your back. An adjustable foot ring can be added to complete the stool's transformation into a full-fledged chair, and ratcheted left or right body support provides an important arm and torso resting area. All models come with seamless upholstery for an attractive yet functional seat. We offer Brewer's 3100 Series Dental Stool with three adjustable height ranges, with or without a backrest, adjustable footring and body support. The upholstery comes in a wide range of colors - view the available colors and specify the color you would like in the "Special Note" section during checkout. Select from the other options available in the drop down menu above and order online direct by clicking "add to cart!" Seat Height Range 18" - 24", 20" - 26" or 22" - 31"